Elia Association » It’s not business – it’s personal! If you haven’t yet entered the Elia Engage Video Contest, don’t be shy! As Committee Member Dena Angevin explains, there’s no need to be a natural salesperson or gifted film-maker – just be you! As Elia Engage Members, we share a common interest in building stronger ties between freelance translators and language service companies. As people, we bring a wealth of different personalities, talents and passions to what we do. Our goal is to connect and that is precisely the idea behind the Elia Engage 2018 Video Contest. So put away your elevator speech and have a little fun. Don’t tell us about your business – tell us something about you. What are you passionate about? What makes you laugh? What gets you out of bed in the morning? Show us who you are! We want to see a side of you we haven’t seen before. Knowing each other better is the first step to better relationships! Take us behind the scenes. Whether you’re a digital nomad working on the beach or have created the perfect office, showing us where the magic happens helps us to see the real you. Who said never work with children or animals? Add some magic by enlisting your furry friends, cute little ones or tech-savvy teenagers to your cast or production team. Be our tour guide. If you love where you live, why not film on location and show us around? Our hobbies are the key to our real selves, so put on your ski gear, strike a yoga pose or play us a tune on that instrument no one knows you play. “I love the language industry because… “ Everyone has their own reason to love our fascinating business, so why not share your story? 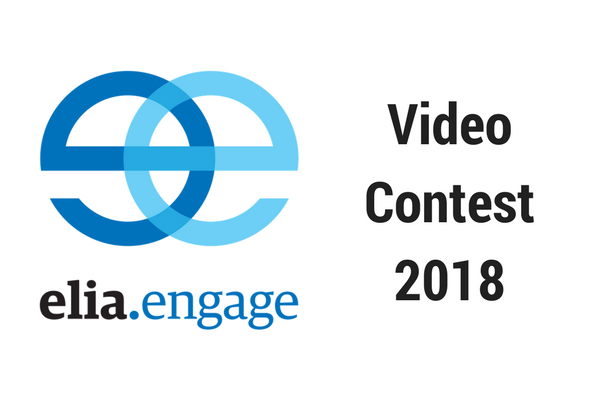 The Video Contest is open to Elia Engage Members. The deadline to submit your video is midnight CET on Thursday, 8 February 2018 and the winner will receive free registration to Together 2019. Find out more about the Elia Engage Video Contest here. Elia Engage is the initiative from Elia where language service companies and independent professionals connect and work together to strengthen the industry. The purpose of Elia Engage is to establish best practice for long-term, mutually beneficial partnerships, with the ultimate goal of better serving end clients. The Elia Engage Video Contest was created to celebrate the introduction of video profiles to showcase the personality you bring to your language business as one of the benefits of Elia Engage membership. Membership costs €110 for 12 months for independent language professionals. Elia Full Members receive access to Elia Engage as a benefit of membership through payment of their annual dues, though do need to sign up and commit to the aims of the initiative. You can find out more about Elia Engage at elia-engage.org.